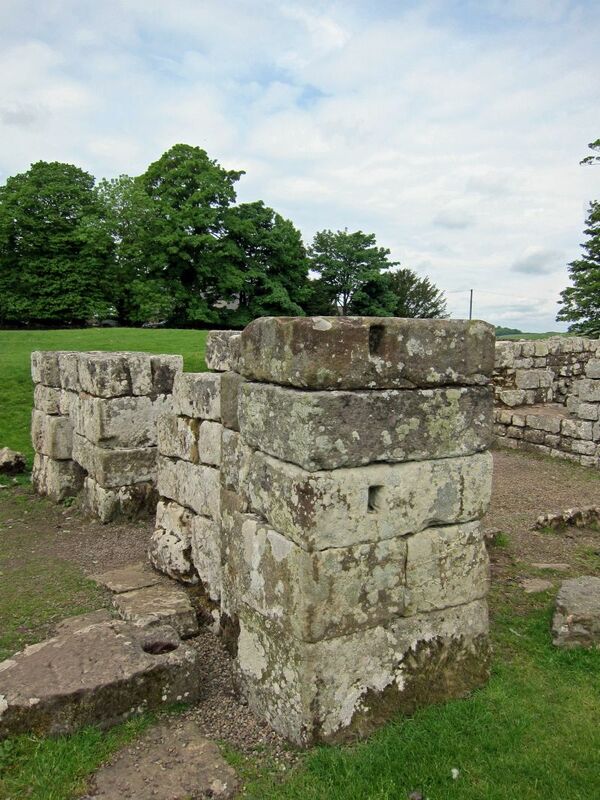 Birdoswald was a major Roman military fort built to protect Hadrian’s Wall and a crossing of the River Irthing. 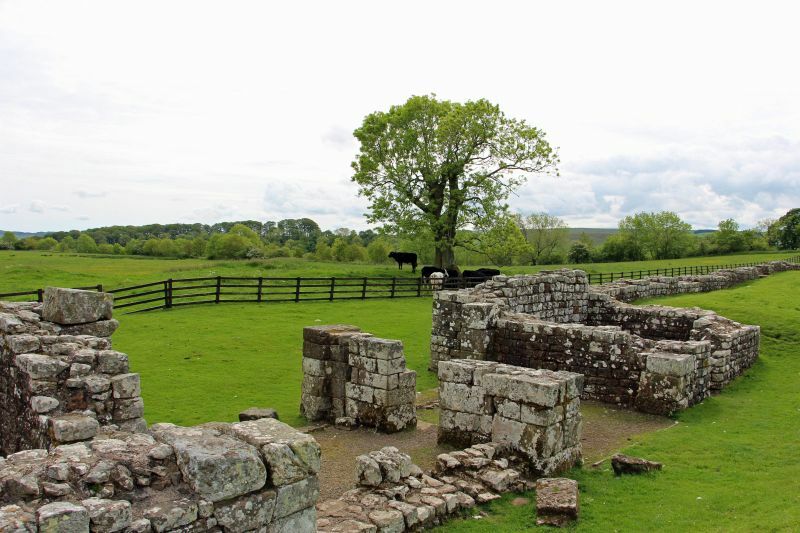 Birdoswald’s history began when a wooded spur was cleared for the building of Hadrian’s Wall in AD 122. The fort, added to the Wall shortly afterwards, was garrisoned by an infantry cohort of more than 800 men and remained in occupation throughout the Roman period. Outside the fort an extensive settlement (vicus) grew up. 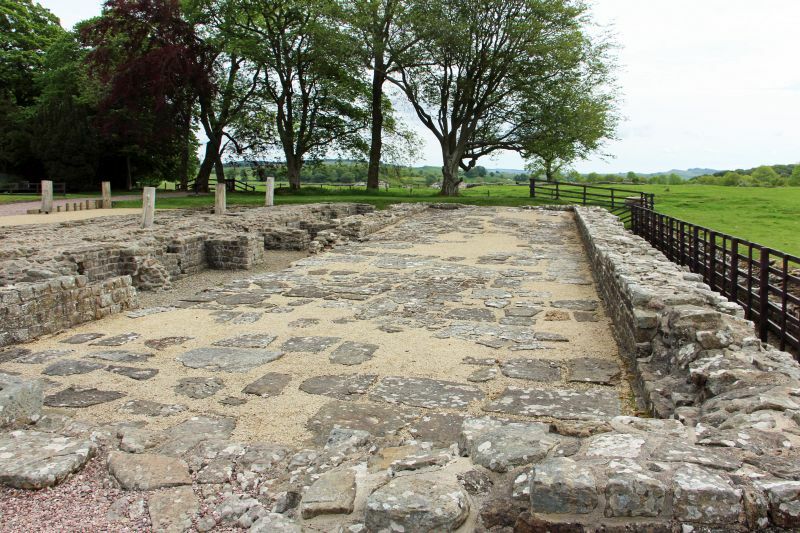 Archaeological investigation has shown that the garrison continued to be occupied into the 5th century – the so-called ‘Dark Ages’. The fort was reoccupied in the Middle Ages and was the target of raids by border reivers in the 16th century. 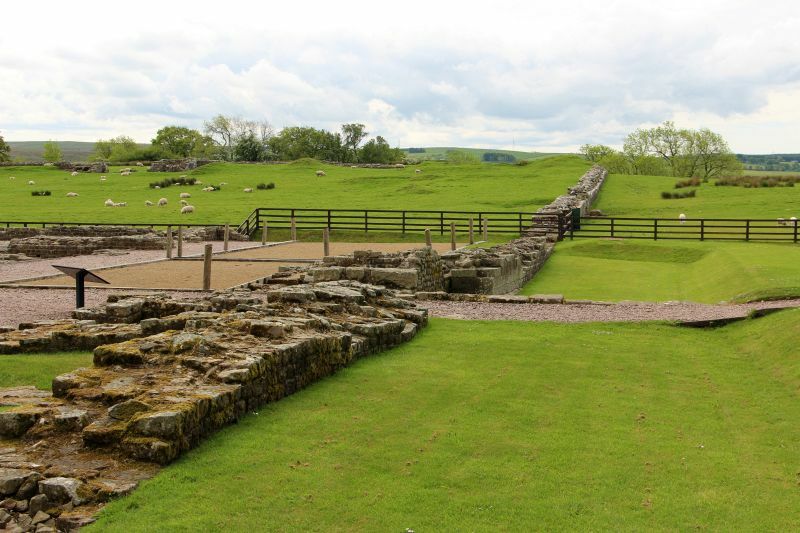 First excavated in the 1850s, Birdoswald has produced more evidence for the phases of building of Hadrian’s Wall than any other fort. To the west of the river Irthing Hadrian’s Wall was at first built of turf. In this sector the regular fortlets known as milecastles were built of turf and timber, while the turrets between them were of stone. At Birdoswald the builders of the turf Wall had to clear woodland and drain a small bog before construction could start. A ditched and palisaded camp for the builders is the earliest evidence for occupation on the site, and pieces of leather tent were found in its ditches. The fort was built astride the Wall, which, along with one of the stone turrets, was partially demolished to accommodate it. The fort may have begun as a turf and timber construction, but this phase was not completed and a stone fort was begun instead. 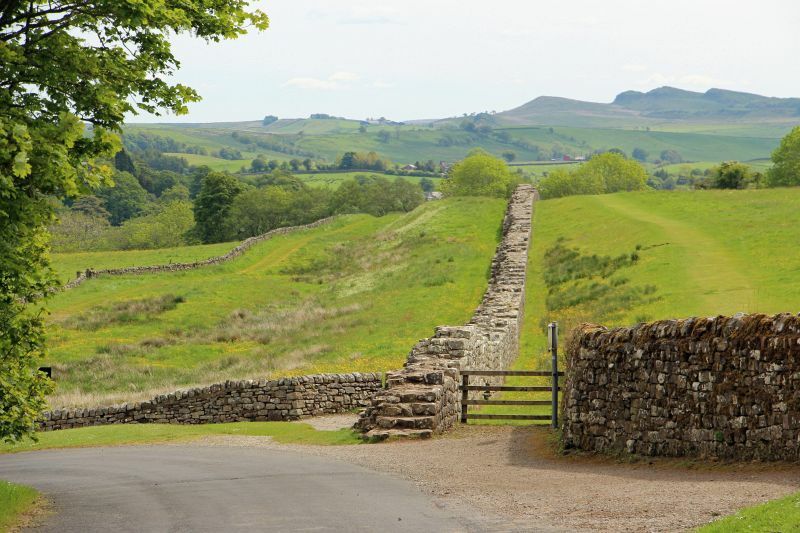 At 2.14 hectares it was one of the larger forts on Hadrian’s Wall. Work apparently stopped for a period of years at one point, but construction was completed before the end of the reign of Hadrian (AD 138) and most of the internal buildings date from this time. 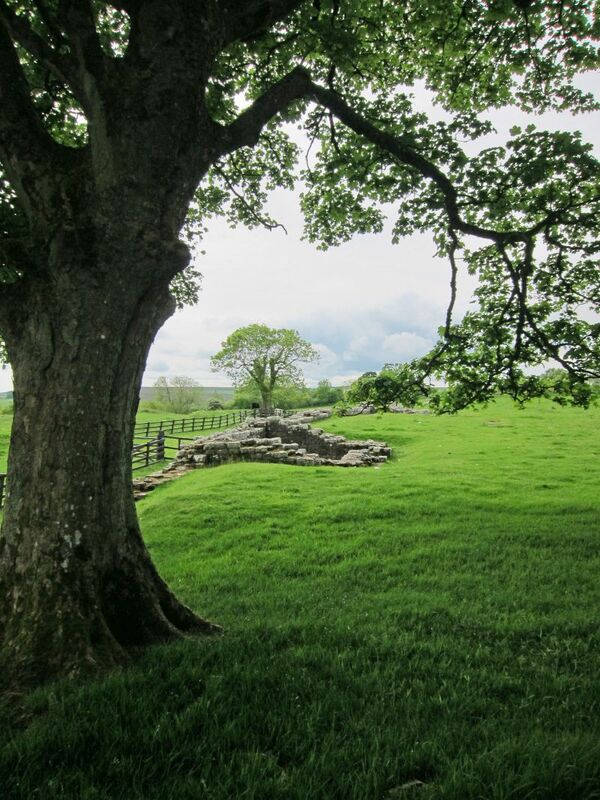 After the fort walls were finished, the first five miles of turf Wall were rebuilt in stone. 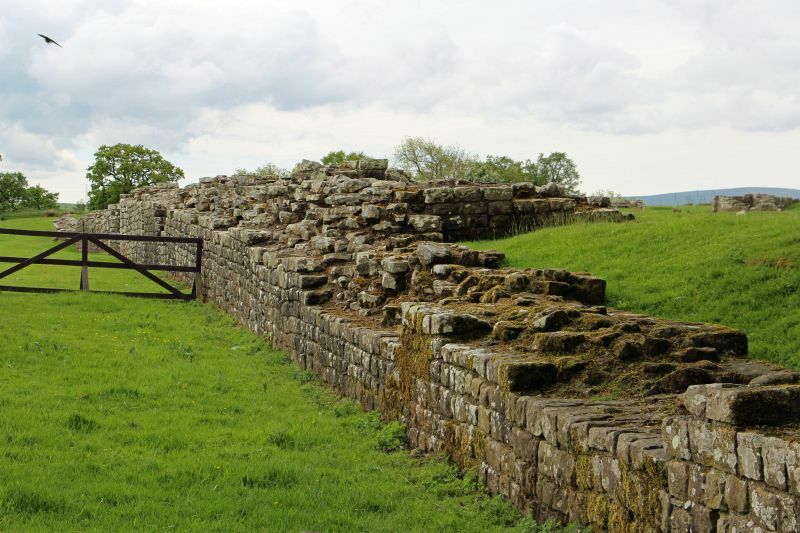 We do not know what unit garrisoned Birdoswald under Hadrian, but it would have been an auxiliary unit raised from one of the peoples conquered by Rome. The fort had been completed and a settlement had begun to develop outside the walls when Hadrian’s successor, Antoninus Pius (r. AD 138–61), moved the army north. 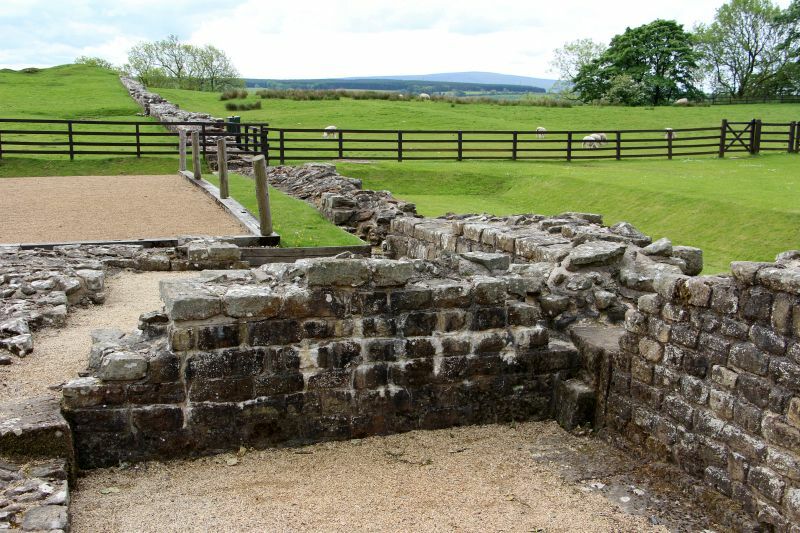 After the Antonine interlude Birdoswald was fully occupied, probably by the military unit that remained there throughout the 3rd and 4th centuries. This was cohors Prima Aelia Dacorum (the first cohort of Dacians, Hadrian’s own, 1,000 strong unit), recruited from what is now Romania. The typical curved sword of the Dacians (falx) is depicted together with a palm frond as badges on two of their building inscriptions. One of these commemorates the building of a granary in AD 205–8 in collaboration with a Thracian cohort and under the command of the tribune Aurelius Julianus. During his time at Birdoswald Julianus lost his infant son, Aurelius Concordius, who was commemorated on a tombstone at the fort cemetery.The second inscription (above) records building work at the main east gate in AD 219. The cohort is recorded in a series of 23 altars to Jupiter Optimus Maximus, five other religious inscriptions, one tombstone and one building stone. 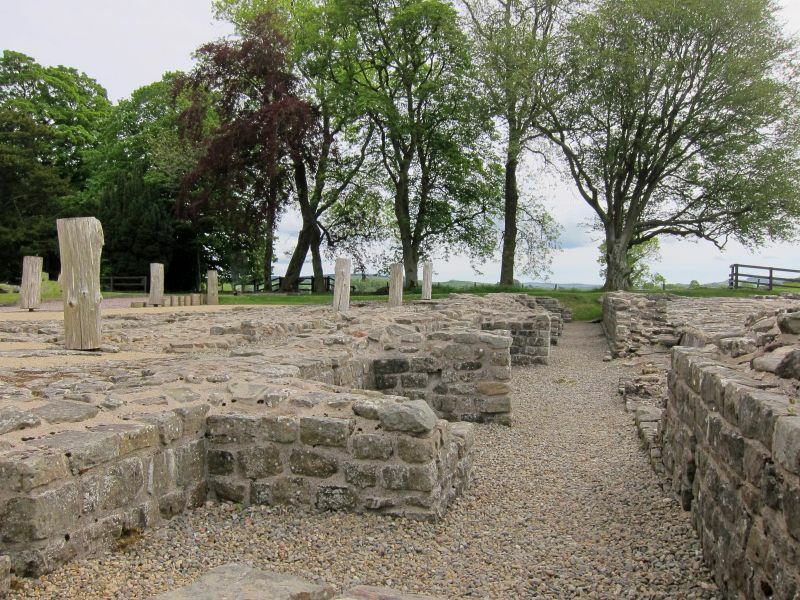 The examples that can be dated span the entire 3rd century, after which the habit of making inscriptions on stone declined across the whole frontier.other wall (the Antonine Wall) from the Forth to the Clyde. 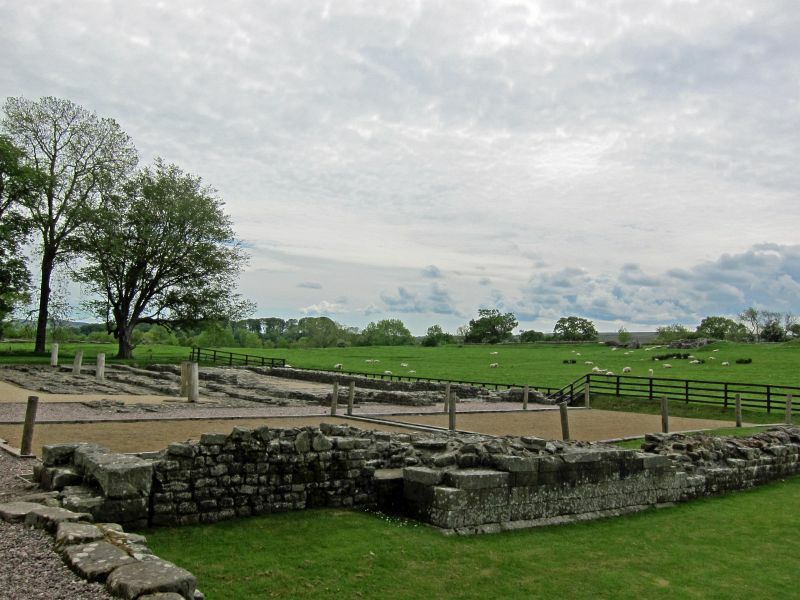 Birdoswald was certainly not given up during the brief occupation of this wall (about AD 142–60), but may have been held by a reduced ‘caretaker’ garrison. During the 3rd century repairs and rebuilding took place within the fort. Outside the walled fort the civilian settlement (vicus), which was made up of buildings with stone foundations set along streets, grew to the east and west and even to the north. South of the fort timber buildings and a type of pottery associated with Frisia, in north-western Europe, show the presence of an irregular military unit which adhered to its traditional lifestyle. Whether this was the unit named the Venatores Bannienses, or ‘Hunters of Banna’, as recorded on an altar found at the fort, is not known. 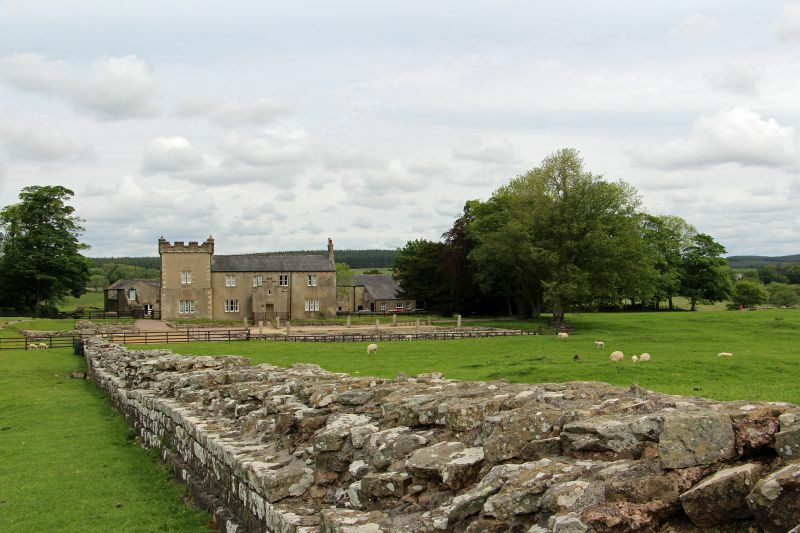 The fort may have been briefly abandoned in the late 3rd century, to judge from the last Birdoswald inscription, which records the rebuilding of the commander’s house that had ‘been covered in earth and fallen into ruin’. The Dacian unit, however, seems to have remained there until the end of the 4th century, when it is recorded in the Notitia Dignitatum, a list of military and civil service posts across the empire.